1st Thursday evening of each month - group sessions that really work! The practitioner's hands transmit energy - several minutes at a time at certain key places around your head, shoulders, stomach, legs, knees and feet - you are fully clothed. This may include helping you identify the emotional conflict leading to your physical symptoms so you can have relief! Sometimes problem areas get lots of extra attention and are targeted - clearing, release or balancing. The client remains fully clothed at all times. Chakras are always cleared and recharged as an essential part of each session. If a client wishes to work on specific issues or health problems, it's advisable to book several one-hour treatments. But first come by for one treatment to see if you like the experience. You may feel any number of sensations when your body processes this healing energy - tingling, warmth, joy, sleepiness, stress release, insights, emotional release, reduction of pain and / or a sense of serenity and a feeling of deep relaxation. MAYBE WE'LL DISCOVER SOME UNDERLYING UNRESOLVED SHOCKS / CHRONIC ISSUES that may be time to disolve. Your "inner physician" knows best what it needs and has an amazing innate sense of how to direct the new energy for its maximum use and to the most needed organs, chakras or tissues. This is the perfect way to spoil yourself. Or call / text me at 604-261-7742 to make your appointment or ask questions. Do you have a health challenge you’re trying to manage or resolve? It could be anything from staying strong and healthy to wondering how you will make it through your next round of chemo or radiation - do give Reiki a try. Come and Participate with other Reiki Practitioners of diverse Reiki backgrounds. Is it time to brush up on what you already know from your previous Reiki classes? Then our REIKI Practitioner EXCHANGE / REIKI SHARE may be just right for you. Starting with a short guided meditation; Reiki exchange; and Q&A's afterwards. Let us know you are coming and we'll give you specific directions. The logistics are simple. I'll need a good connection with you and as much information as possible – this can be achieved with a preliminary phone call or email and with a recent photo. Then we'll want to set a time(s) and you can be in a quiet receiving state – the best way for allowing the energy to flow. Some thoughts and/or sensations may occur during your healing session. I scan your body to find areas of energetic imbalance that need to be dealt with at that moment, as well as emotional issues that you think are important for that session and I also work with the blockages at the core of your physical or emotional challenges or distress. I will have information to share afterwards, so the session can end with another conversation or an email – and this also ties up loose ends – even though the energy will be received whether there is any communication or not. Skeptics often believe in prayer but not in Reiki. Prayer is done with mind, clear intention, love and positive feelings, in a non-local manner. Many studies have proven that prayer heals. AND more is better and that prayer adds longevity, vitality and uplifted spirits. Prayers are usually shorter but often done with as much concentrated energy and love as Reiki, sent by a Reiki Master – so the outcomes can only be as good or better. There's lots more information on distance healing in the Reiki Section - 5th article down. All you'll need to do is phone, text or email and leave your name, number and a good time to contact you or click over to the “contact us” section and send me some information about yourself and what you are looking for. I will call or email you to set up a specific time. All work is done by appointment. The Reiki Distance Healing package: five 30 minute sessions with a 5 minute telephone conversation before and after for each healing time we set. On your first visit we'll quickly discuss your health issues and take notes. Then your specific challenges can be addressed. Normally, the sensation that reflexology creates is pleasant, relaxing and soothing. There may be the odd discomfort in some places, but this is fleeting and acts as an indication of congestion or imbalance and lets us know where to be more gentle and spend more time. Pain is not part of Reflexology! Feeling an upsurge of energy, as your body adjusts. Learning as much self help at each session as you feel like, to take home. Your entire body, including your organs, muscles and chakras are reflected on your feet. I specifically focus on your whole spine and nervous system. I "thumb walk" and massage your feet and pamper your skin. tired, plantar fasciitis, bunions, gout, neuropathy, bone spurs, arthritis, neuromas, tarsal tunnel syndrome, or just plain over worked? "from Academy of Ancient Reflexology"
If you’ve never tried a foot reflexology session, you must. This is the perfect way to spoil yourself. Do you want to learn reflexology properly? Or is it time to brush up on what you already know from classes in the past? Click on http://www.reflexologyreiki.com/classes and take a look. And sign up for Merrie's newsletter - just send an email with the words "newsletter" in the subject. When clients come to me with complaints, my approach is always holistic. The physical, mental, emotional and even sometimes the spiritual are all intimately intertwined - it’s impossible to separate them from each other. Sustainable homeostasis of your health is my objective. In Reflexology, as with the other holistic and energetic healing modalities that we practice, the healer is the client, not the practitioner. 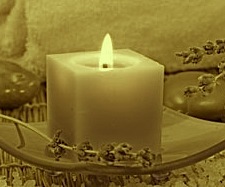 The intention, skill and caring of the practitioner is key and the clients’ own natural energies do the healing. You already have the resources within you that are needed to restore your health; your body just needs to be able to draw upon these for rebalancing with particular stimulation. Reflexology can rebalance your energies and help your "inner physician"
Ever wondered if you can learn Reflexology? How long would it take? Would you like to be able to give stress relief to yourself, friends and loved ones? Click on CLASSES and take a look - it might be just the course for you! Introductory classes offered four times per year. * group benefits evenings - first Thursday evening of each month - starts at 6:30pm - bring an open heart, an open mind and a REAL problem - please call for details and to see if this is right for you. $30. WE'LL DISCOVER SOME UNDERLYING UNRESOLVED SHOCKS / CHRONIC ISSUES that may be time to disolve and allow for better health and healing.